​Humans have studied the function and meanings of the heart since ancient times, and although its electrical and mechanical operations have proven to be quite straightforward (we've been transplanting them for 60 years now) their emotional, intellectual, and purposeful functions have proven much harder to diagnose. This detailed and up-to-date diagram provides a visual and poetic map of this ever-changing organ through twelve fundamental states across an emotional and functional progression. If you have a heart of your own, you'll certainly recognize the conditions illustrated, and through careful study will hopefully be better prepared for understanding your own relationship to this essential organ as you continue to wield its power and suffer its fragilities. 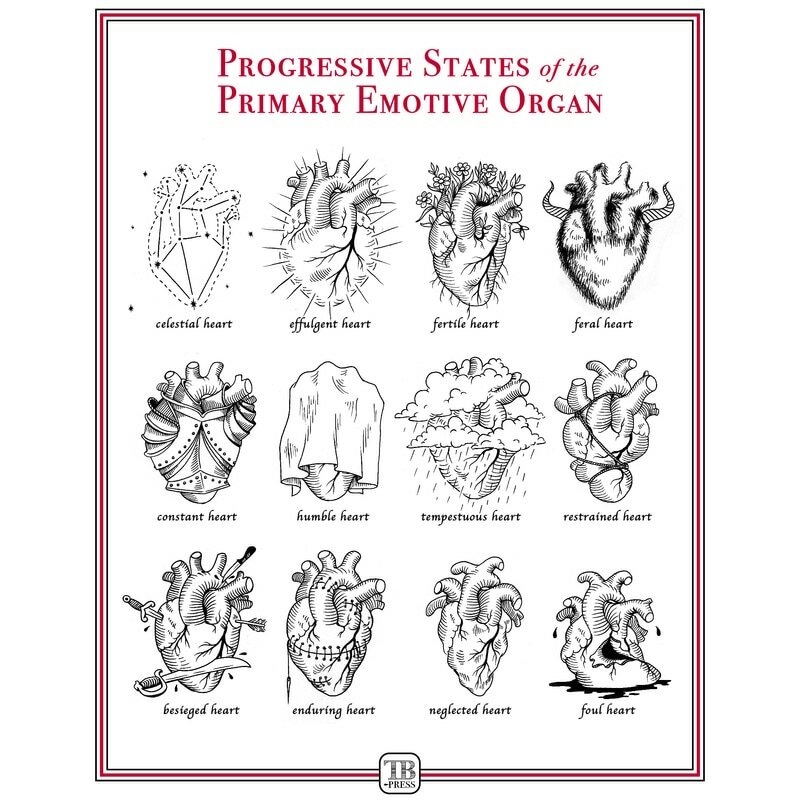 Progressive States of the Primary Emotive Organ is available exclusively from TigerBee Press as a digital print on archival paper for display in your home or office, or on canvas tote bag for immediate reference while out and about.